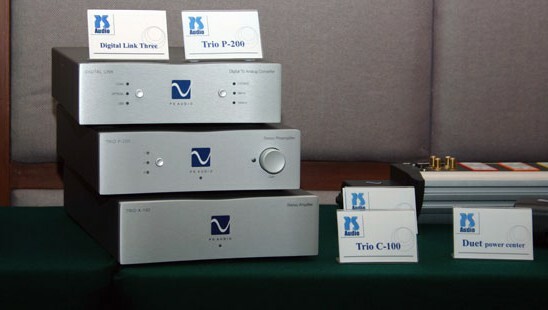 PS Audio Trio a 100 – Power ampl. classe D . Marchio conosciuto per le sue amplificazioni in classe D, anche con questo modello da ben più di 100 watt per canale, la PS Audio conferma le sue prerogative realizzative……. 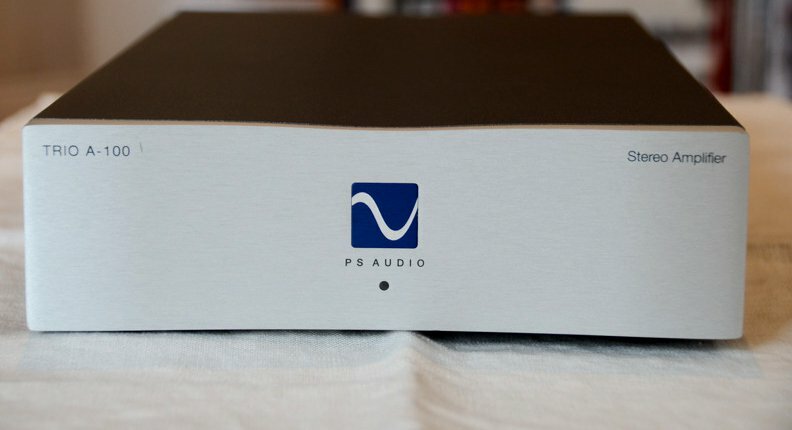 PS Audio Trio a 100 – Power ampl. classe D . Marchio conosciuto per le sue amplificazioni in classe D, anche con questo modello da ben più di 100 watt per canale, la PS Audio conferma le sue prerogative realizzative. La costruzione dual mono rende questo amplificatore particolarmente ben realizzato e con delle prestazioni di tutto rispetto a fronte del costo. La modernità progettuale e la buona capacità di pilotaggio sono i suoi due punti di forza. PS Audio’s compact but mighty Trio A-100 delivers plenty of good, clean amplification to drive a high-quality two-channel audio system. It kicks out 100 watts per channel into eight ohms, and can double its output at four ohms to deliver a muscular 200 watts per side. That’s enough power to push most speakers with ease, and it’s ideal for today’s high-end speakers, which often run closer to four ohms than eight. 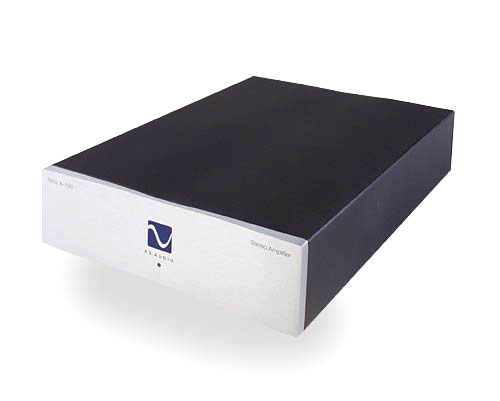 Unlike typical amplifiers that generate lots of heat, the A-100’s high-efficiency switching output stages allow it to run surprisingly cool, even under extremely heavy loads. No fans or heatsinks are required on this beauty, so all you get is cool, quiet power. The ‘100’s dual-mono design maximizes stereo separation and reduces any possible interference between channels. Sharing only a common power cord, the two channels operate completely independently of one another, utilizing their own individual power supplies, input stages and power output stages. This gives you rock-solid imaging and a huge soundstage. 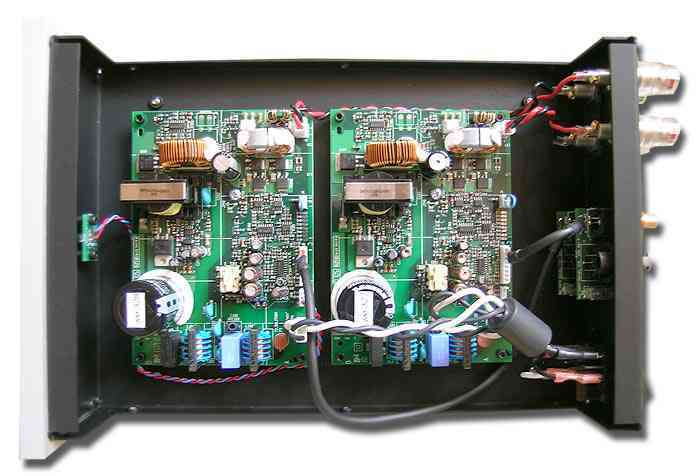 This amplifier employs two of PS Audio’s exclusive Gain Cell™ modules — one per channel. 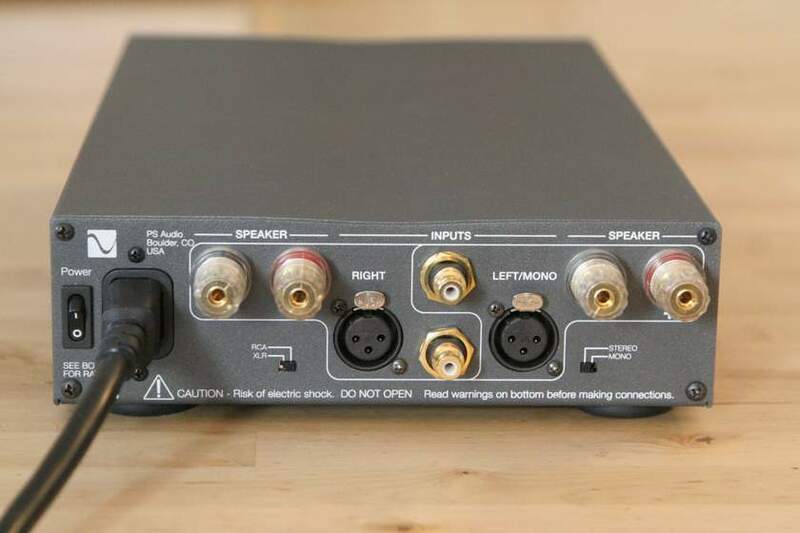 The Gain Cells serve as an input stage, where they help to eliminate potential noise or hum coming from your cables and provide a short, pure signal path for your music. You’ll experience effortless dynamics, transparent mids and highs, and deep powerful bass that’s certain to keep your toes tapping. 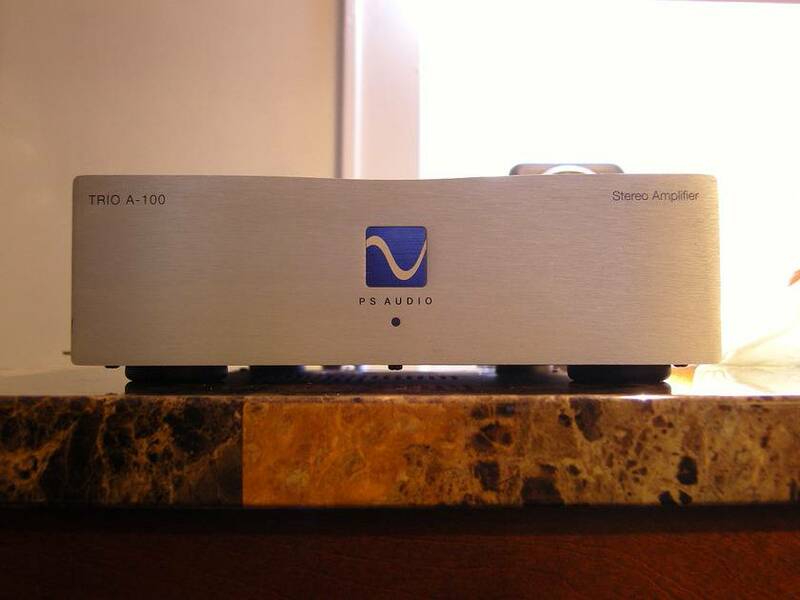 Overview: The PS Audio Trio A-100 is a 100-watt, Class D power amplifier with two-channel, dual mono configuration. It has a pair of RCA (single ended) inputs and a pair of balanced XLR inputs. Impedance: The Trio A-100 can handle both 8-ohm and 4-ohm speakers with ease, and can drive loads even lower. The power output for 4-ohm speakers is double the output for 8-ohm speakers. Inputs: The amplifier has both balanced XLR inputs and RCA inputs, giving you a choice of either type of input. Only one type of input can be used at a time. You must set the Input Select switch on the back to match the type of input you are using. 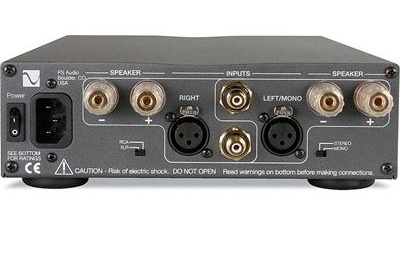 Bi-Amp: When using the A-100 to bi-amp a speaker, the switch on the rear panel is set to mono and only the left input is used. Speaker Terminals: The Trio A-100 uses high-end gold locking binding post speaker terminals. These binding posts will accept bare wire up to 8 gauge, spade connectors, or single banana plugs. The terminals are spaced too far apart for dual banana plugs to be used. Power Switch: The power switch is on the rear panel and there are no controls on the front. Typically there is a delay of approximately 2-seconds for the amplifier to turn on once the switch is pressed. Illumination: When the power is turned on, a blue LED illuminates on the front panel. Warranty Note: Out of the box the warranty is 90 days. If you register your purchase on PS Audio’s web site, the warranty is extended to 3 years. I notice there are as yet no reviews in this venue on this amp, and hardly any elsewhere. Since this is an interesting product, I am surprised such would be the case. 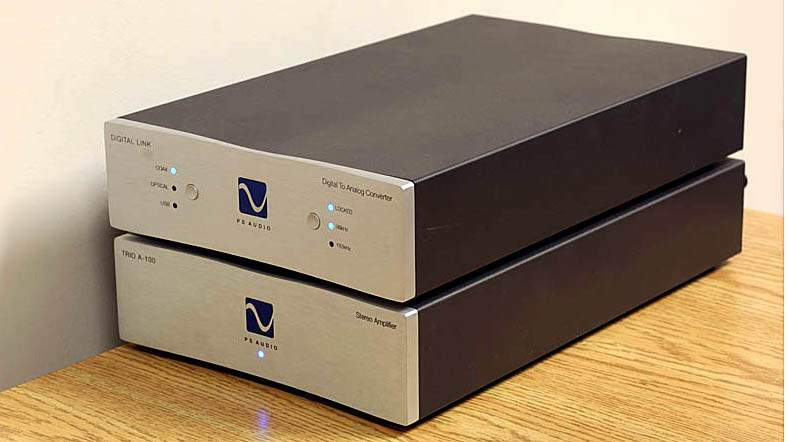 My technical expertise is small, but I have been working on an evolving “Hi-Fi” system for many years, and have owned and used a large number of amps during that time, including two slightly different versions of the Trio A100. One was an apparently early version, and the other one current (so far as I know).